"Thanks for all your patience and help. Congratulations on your distinguished achiever award. You do a great job." 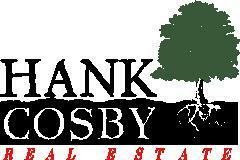 "I wanted to thank you for your efforts in the sale of the property in Cumberland County. You made everything so easy for me and I could not have been more pleased with the ease and quickness of the process. You did a great job and I really appreciate all you did." "...Your knowledge and expertise were truly wonderful. We will be sure to consult you and recommend you for future purchases. We love our new home and it is coming right along slowly but surely. Thanks, too, for being so patient with us "young people." We really did appreciate it." "It was great working you. I appreciate everything you did and that made the closing a smooth one. You are a true professional and I hope I have the opportunity to work with you in the future. Again, thanks for all your gracious cooperation." "Your professionalism and thoroughness paved this real estate so smoothly for us. It has been the best experience by far. Keep up the great work. Don't be a stranger, stop by and see us." "Thank you for all the help with our new home purchase." "We want to thank you so very much for all you've done for all of us. It is hard to put in words how grateful we are. Thank you again." Are you thinking of buying a home in the Powhatan, VA area? Finding the right home can be a difficult process but no matter what you are looking for as an experienced Powhatan, VA real estate agent I can provide you with the resources you need to make the home buying process simpler, from specific Powhatan, VA neighborhood information, to tools to estimate your mortgage payments, and buyer resources and articles that will help you through the home buying process. Thinking about selling real estate in the Powhatan, VA area? No matter which market you're in, you can use the marketing programs and experience of a qualified Powhatan, VA real estate agent like me to help sell your home quickly and at the right price. Learn more about my service, see information about recent home sales in Powhatan, VA, or contact me to get started today! Are you interested in more Powhatan, VA area details? Please take a minute and browse my local neighborhood and school details, real estate mortgage information and interactive maps for the Powhatan, VA market. Thank you for visiting www.hankcosby.com! This is a one-stop real estate website for all your home buying and selling needs in Powhatan, VA. I’m a professional real estate agent who will help make your search for a new home an enjoyable experience. Please feel free to contact me directly if you have any questions about the Powhatan, VA real estate market, or buying or selling a home in Powhatan, VA.